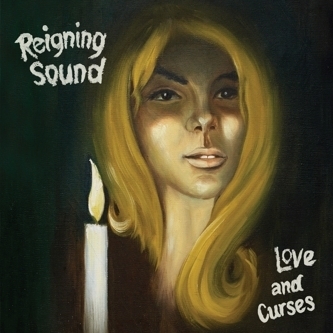 Reigning Sound pack in a whole lot more substance than so many of their In The Red peers. While the label seems to pump out a fresh batch of echo/fuzz/garage wastrels every week, this band have genuine charisma and songwriting chops under their belt. There's still a faintly lo-fi sensibility, but on songs like the brilliant 'Debris' you could be listening to an E Street Band demo recording rather than the usual third generation No Age knock-off. Here we have a proper rock band who've been plying their trade since 2001, with frontman Greg Cartwright having learned his craft as part of The Oblivians and The Compulsive Gamblers, stopping off to play and write with The Detroit Cobras and even Mary Weiss of The Shangri-Las. Just a terrific rock & roll record, Love And Curses comes highly recommended to anyone fishing for record of this ilk that has a genuine backbone of authenticity to it.